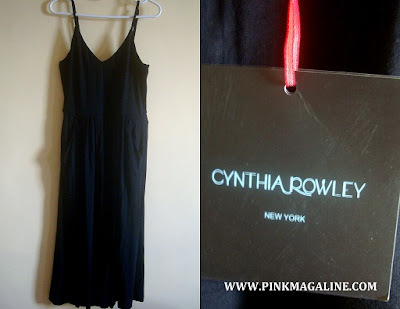 I was browsing NY fashion week photos in IG, I saw the name Cynthia Rowley and it reminded of the dress that I bought before summer. I love this dress so much. It has a very soft, stretchy and cool fabric. The design is simple yet it looks nice when worn. I was supposed to wear this dress in a preggy photoshoot but never actually did it because of so much procrastination. Oh well, so here I am with this panghihinayang feeling. Erase. The best thing about this dress is.. it's a designer dress! Not to mention, I got it in a very affordable price!! Regular Price: Unknown. 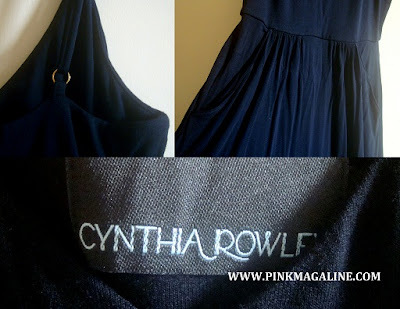 For reference, I visited cynthiarowley.com and was surprised with the cost of the clothing under the same brand.